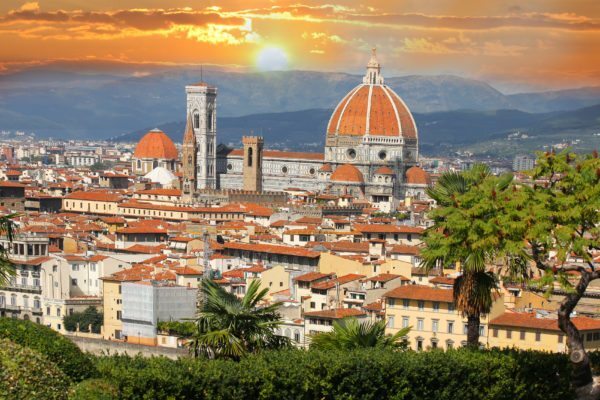 Journey to the roof of the Alps and enjoy fabulous scenery from alpine meadows to stunning lakes and picture-postcard towns and villages on this wonderful 7 night holiday. 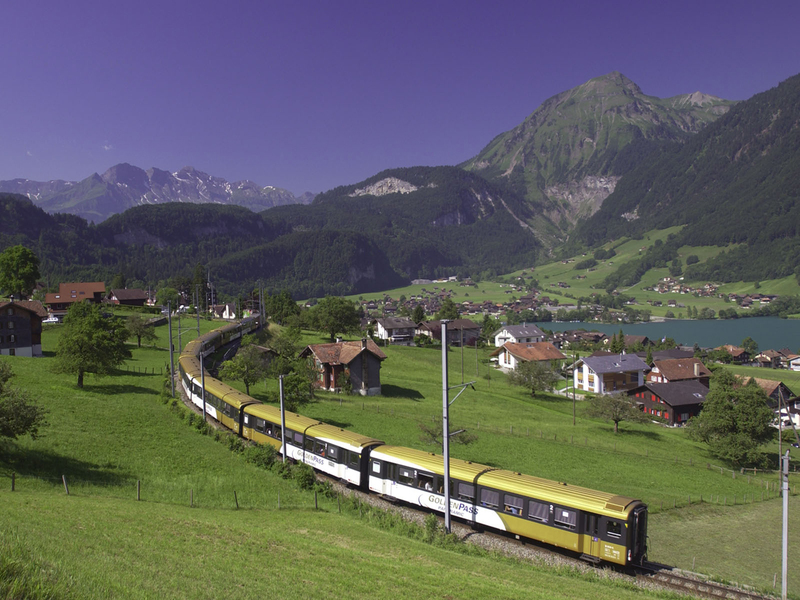 Our included Swiss Half-Fare card allows you to make the most of Switzerland’s majestic beauty and breathtaking scenic rail journeys. 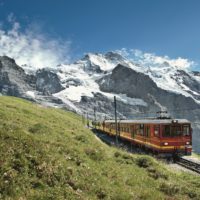 Experience 3 of Switzerland’s most scenic and world-renowned rail journeys on this fantastic 7 night holiday by First Class rail from £1,675 per person (based on two people sharing a twin/double room) and from an additional £195 per person, including the journey from Montreux to Jungfraujoch on the Jungfrau Railway and return on the Golden Panoramic Express. As you stroll into stunning London St Pancras International station let the holiday mood take over. Sit back, relax and watch the countryside glide past as you travel by Eurostar to Paris at speeds of up to 186mph. Enjoy the light meal and drinks served on board in Standard Premier Class (Eurostar’s 1st class for leisure travellers). 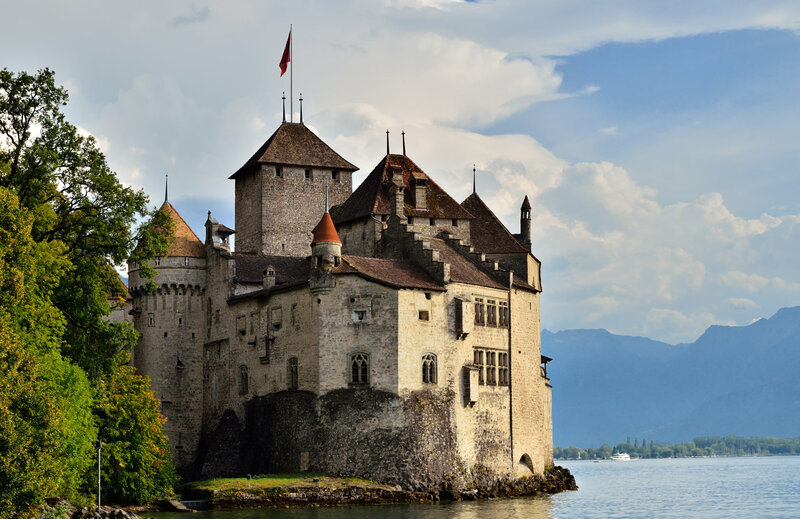 On arrival at the Gare du Nord a private transfer takes you across Paris to continue your journey by TGV through France into Switzerland, alongside sparkling Lake Geneva to the elegant lakeside town of Montreux. Your hotel for the next 3 nights is the Grand Hotel Suisse Majestic (4 star superior), perfectly situated a few steps from the station and with fabulous views of the lake. 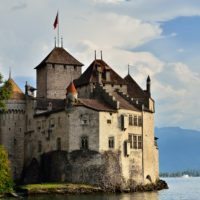 Stretch your legs or board the trolley bus for the short journey to the stunning medieval Château de Chillon (payable locally). As you marvel at the spectacular setting, twixt sparkling lake and breathtaking mountains, spare a thought for the prisoners of this 13th century castle, considered to be one of the best-preserved in Europe. Your afternoon is free to stroll around Montreux, enjoy a scenic lake cruise or take the rack railway up Rochers-de-Naye for stupendous views and a chance to visit the ‘Marmot Paradise’. 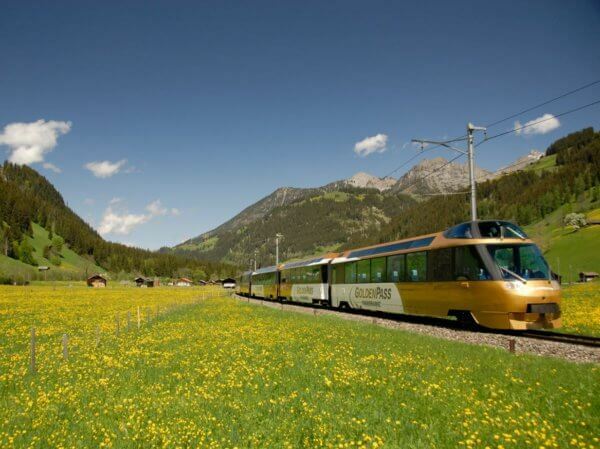 Today you board the GoldenPass Line panoramic train for a truly memorable rail journey. 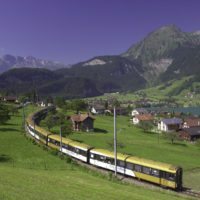 First you journey south to Visp then up into the picturesque Bernese Oberland to Spiez and Interlaken aboard comfortable regional trains. 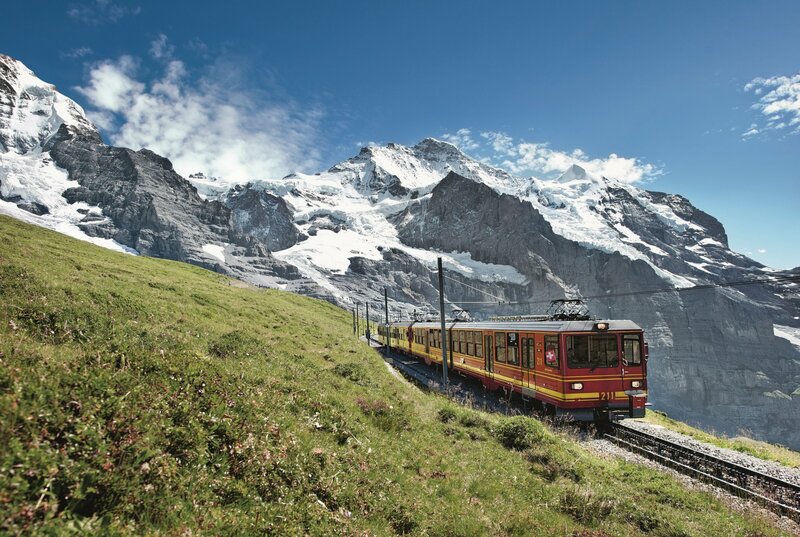 Onward and upward from Interlaken, past the famous resorts of Wengen and Kleine Scheidegg, the spectacular Jungfrau Railway (supplements apply) conveys you to the highest railway station in Europe at 11,333ft. 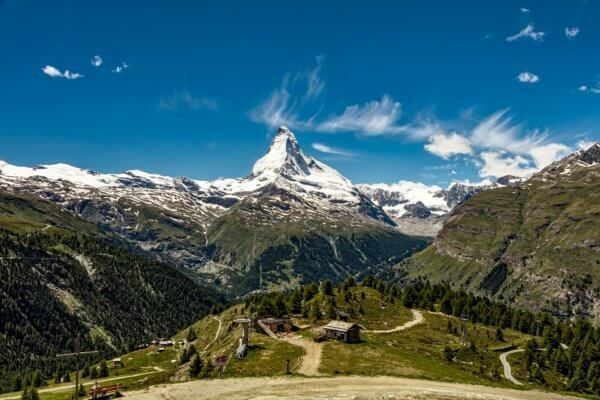 Savour the experience from the ‘Top of Europe’ before a dramatic descent via Grindelwald. Then relax in the comfort of your seat as the Golden Panoramic Express snakes alongside sparkling Lake Thun and climbs to more than 4,000ft above sea level. Enjoy the option of dinner in the restaurant car (payable locally) whilst you gaze at majestic views of the Swiss Alps as you pass through valleys dominated by cattle-farming and cheese-making, past the glamorous resorts of Château d’Oex and Gstaad. On the last leg of this fabulous journey back to Montreux revel in the breathtaking views of the French Alps as the train makes its spiralling descent towards Lake Geneva. 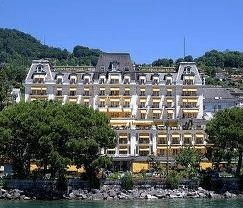 Excitement builds this morning as you bid farewell to Montreux and travel south-east to join the Glacier Express. Probably the slowest ‘express’ in the world, the narrow-gauge train climbs up the Rhône Valley, past mountain peaks, tiny hamlets, rushing streams, then spirals upwards as it snakes its way over the Oberalp Pass at 6,670ft. Lunch on-board the Glacier Express is included for you to enjoy at your First Class seat while you admire the scenery through the panoramic windows. As the train descends the landscape changes to pasture and woodland as you enter the broad valley of the Rhine before arrival in the historic town of Chur. Here you spend three nights at the attractive, family-run 4 star Romantik Hotel Stern, located in the old town. 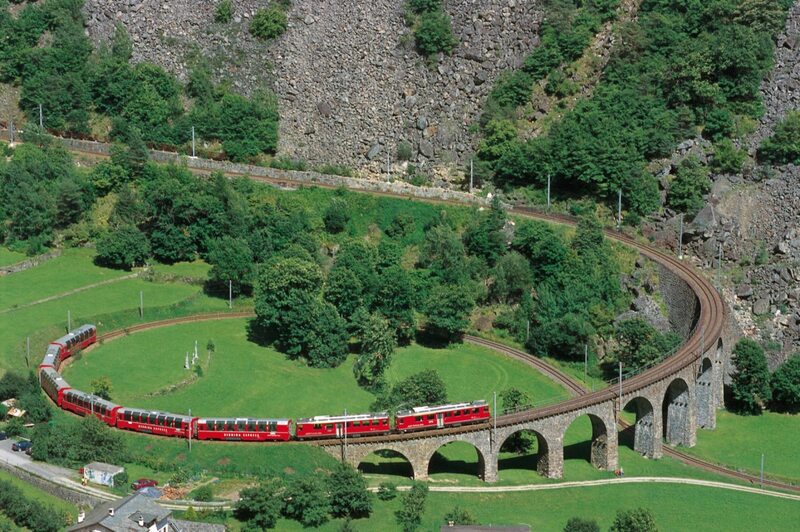 Board the Bernina Express in Chur for fabulous, breathtaking views from your First Class panorama car as you travel over bridges and graceful viaducts, through galleries and switch-back tunnels hewn into the rock, past waterfalls, ravines and rushing mountain streams. The route spirals and loops into the Engadine Valley before climbing more than 7,000ft to the Bernina Pass without the help of a rack-and-pinion mechanism. Marvel at the snow-capped mountains as the train descends into the pretty,Italian-speaking town of Poschiavo with its different cultural feel. 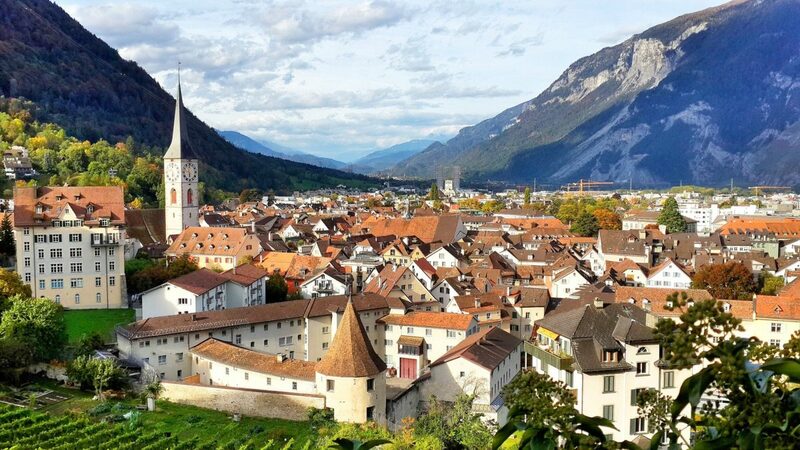 There is time to relax and enjoy lunch in one of the town’s cafés or restaurants before the return journey to Chur. 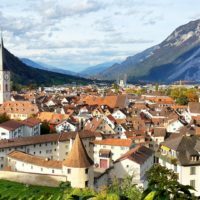 You may decide to stroll around the attractive old town of Chur today, amidst its cobbled streets and pretty squares, and visit the vast 12th century cathedral or sample its many shops. 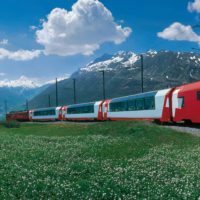 To make the most of your included Swiss Pass travel first class to Lucerne and take the Mount Pilatus cogwheel railway from Alpnachstad to the summit of the Pilatus Kulm. When you reach the top of the world’s steepest cogwheel railway there is a magnificent panoramic view of Lucerne, its sparkling lake, and the Alps beyond. For a different view you could journey east to gorgeous Lake Constance and join the Pre-Alpine Express for the scenic rail journey through the charming pre-alpine landscape with its rolling hills and storybook villages nestled in the valleys, possibly stopping to visit the monastery and Old Town of St. Gallen (UNESCO world cultural heritage site). 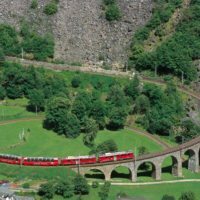 Today you head north, leaving Chur and Switzerland behind as you journey aboard a EuroCity train, via Basel into Germany, along the scenic Rhine Gorge to Cologne. On arrival walk the short distance to your hotel for one night, the 4 star Hotel Mondial am Dom, ideally located close to the station and the city’s impressive Gothic cathedral. You might have time to visit the world-famous cathedral with spectacular views from the top or perhaps later you could stroll through the old town or alongside the river Rhine. This morning after breakfast you have some time to further explore Cologne. Then walk the short distance (300m) to Cologne Hauptbahnhof and travel by ICE high-speed train to Brussels. 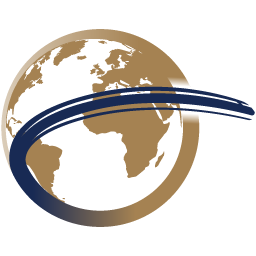 Here you join your connection with Eurostar to London. Reflect on the past week of memories during your meal and drinks served at your comfortable Standard Premier seat as you return to London St. Pancras and the final leg of your journey home. 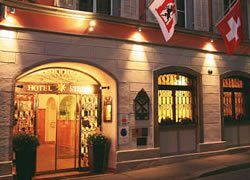 The Romantik Hotel Stern (4-star) is an historic hotel located in Chur’s old town. 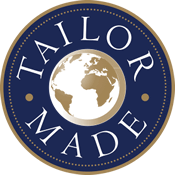 The combination of traditional features and modern comforts, with its restaurants, bar and lounge, make this family-run hotel a cosy, and attractive choice. All the comfortable en suite rooms feature TV, radio, internet connection and telephone. The Hotel Mondial am Dom Cologne MGallery by Sofitel (4-star) is at the heart of Cologne old town. Cologne Cathedral, the main station, river Rhine, shopping streets, and a wide range of museums and other attractions are just a stone's throw away. In "Reissdorf im Mondial", you can enjoy regional dishes and draft beers in the setting of a modern Cologne brewery with views of the cathedral. All of the modern en-suite rooms at this smart hotel feature air conditioning, a minibar, satellite TV and a luxurious bathroom. Free Wi-Fi is available throughout the hotel. The stylish hotel also boasts a spa with sauna, steam room and fitness room.